Projects don't end poverty — people do. Breaking the cycle of poverty is a team effort. Join us! When you sign up to become an Outreach International fundraiser, you're giving communities in need the opportunity to break the cycle of poverty for generations to come. 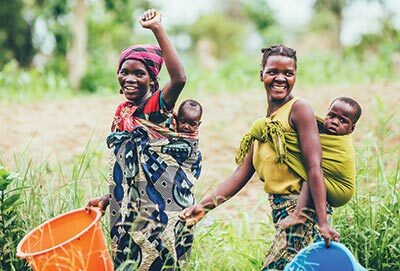 For more than 30 years, Outreach International has provided sustainable solutions to help end extreme poverty around the world. We need you. Join us and together, we can impact more lives than ever before. Create your own fundraiser today to give these families the tools they need for sustainability and success for generations to come. You are the solution. You have the ability to change their lives for generations, right now. Ready?